GENRE IS DEAD! Interview: Kyle Durfey of Pianos Become The Teeth - GENRE IS DEAD! Too often people are afraid of change. That being said, Pianos Become The Teeth are no stranger to change. In fact, they welcome it with arms wide open. Their just released record Wait For Love is no exception. 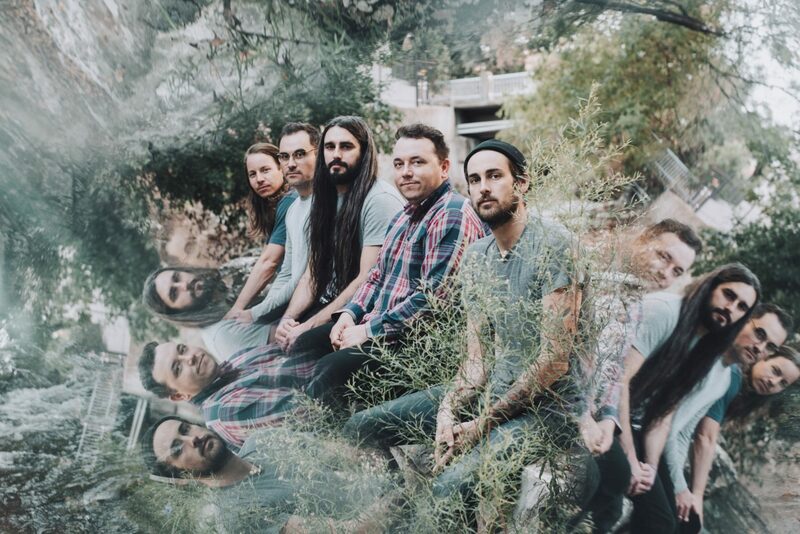 Having been four years since their previous release, Keep You, Pianos Become The Teeth have left fans eagerly awaiting to see where the band has gone. Frontman Kyle Durfey chatted with Genre Is Dead! to give us some insight into their progression as a band and where they hope to go moving forward. First of all, congratulations on your upcoming record, Wait For Love. We here are eager for its release! It’s been four years since your last release, Keep You, would you say that you approached the creation of Wait For Love differently than your previous albums in terms of what inspired you musically and lyrically? Thank you. As far as song writing goes, we more or less approached the songs the same way we always do, but just allowed ourselves to accept whatever came out while trying to push ourselves. We worked on this record a lot longer than all of our other records because we all had a lot of personal things going on. When you take that much time to write, things are bound to change because you have so much time to sit back and reflect on the songs. It’s clear that you all have evolved in your sound from your earlier works. What prompted this growth and do you see yourselves continuing in this direction in terms of style as you make more music? We want to be an ever-changing, ever-growing band. If you listen to all of our records, they all sound a little different but you can still tell it’s Pianos, you can hear the transition. That’s always our goal. We want to keep experimenting while maintaining the little things that make us us. We’re not afraid of getting weirder. Is there any specific style of music completely different from your current sound that you would like to experiment with in future songs? Sure. There’s always room for experimentation. One thing I think we do well is bring in different sounding songs while maintaining a vibe. We can have country songs or stripped down synth heavy songs or heavier, more drivy songs and they all make sense within the context of a record. Something very notable about your music is how emotionally charged and raw it seems to be. Are there any specific factors you cite as driving forces in the ways in which you approach your purposeful songwriting? We always want to evoke a mood. We always want to be honest. We’re big on how the songs feel after hearing them. Everyone brings their own unique touch to the songwriting process. Personally, I try to match the tone of the song with the lyrics and whatever is going on in my own life. Speaking of emotionally charged music, is there any song in that stands out in this album as resonating with you the most? How so? Bay of dreams is one of my favorites just because it is very stripped down. Most of the time it’s nearly impossible to make a song sound the exact way you hear it in your head translate to tape. I think we accomplished that for that song. Love on Repeat is one of my favorites because of how natural it feels while listening to it. Lyrically, they all hold a special place in me. The songs touch on different experiences but there’s a running theme of Love. You recently dropped a video for the song “Bitter Red” and we can see how it picks up from where your previous music video, “Charisma”, leaves off. Can you discuss further your decision to connect these two songs and how they reflect each other lyrically? Similar to the record, we liked the idea of having a continuation of sorts for the videos. Our friend Michael Parks Randa took the idea and ran with it and put his own spin on it. Charisma relates to Bitter Red because one song touches on the discovery/arrival of a new person in your life and the other touches on comparing that relationship to other relationships in your life. You also recently toured as support for mewithoutYou and have a few upcoming dates of your own promoting your newest record. What lessons did you learn from this past tour that will follow you into the way you play live shows from now on? Once you’ve played with people for so long, you get pretty dialed in. I think our goal is to just make our new songs come across live the way they are meant to come across. Our live show is always a bit more sonically intense than on record and we love having dynamics while we play. Who are some other artists/bands you draw influence from that might surprise some of your fans to know? Pantera, John Mayer, Outkast, Tiesto, Luke Bryan. We love it all. Well personally, the answer I guess would be Sigur Ros. Maybe Portishead, Bjork, or Radiohead. Just because I think it would sound out of this world. Here at Genre Is Dead, we really believe in the social value of music and the power its effect has on the individual. That being said, what are you hoping that fans and new listeners will get out of this record? I just hope people give the record time and try to find something they love in it, really sit down with it and let it get in their bones. I hope people find something in there to relate to, and look at the love in their own life and look at it closely.